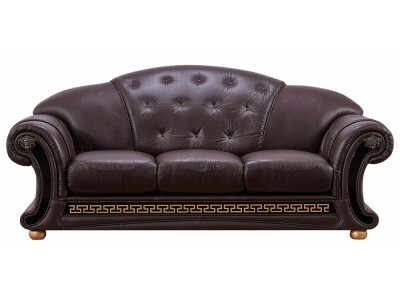 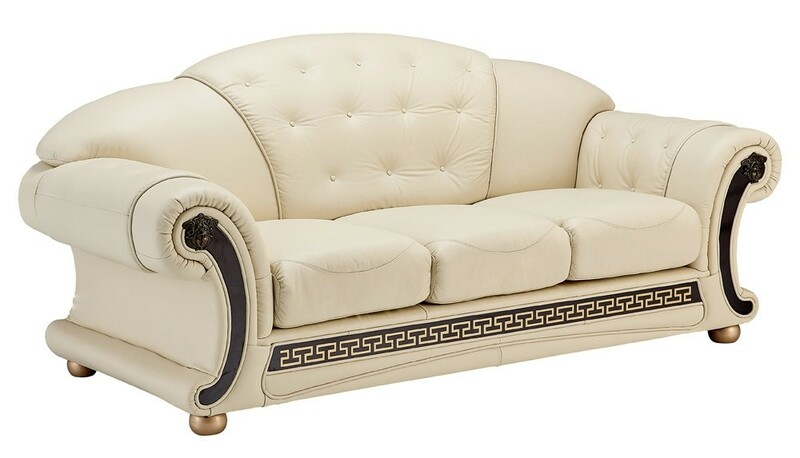 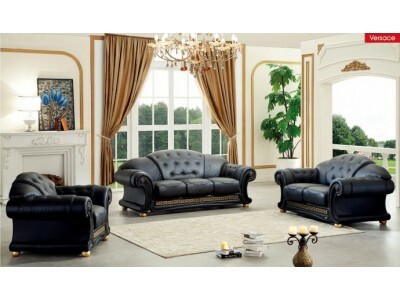 This classic styled Versace living room set comes in Ivory leather and offers sofa, loveseat and chair. 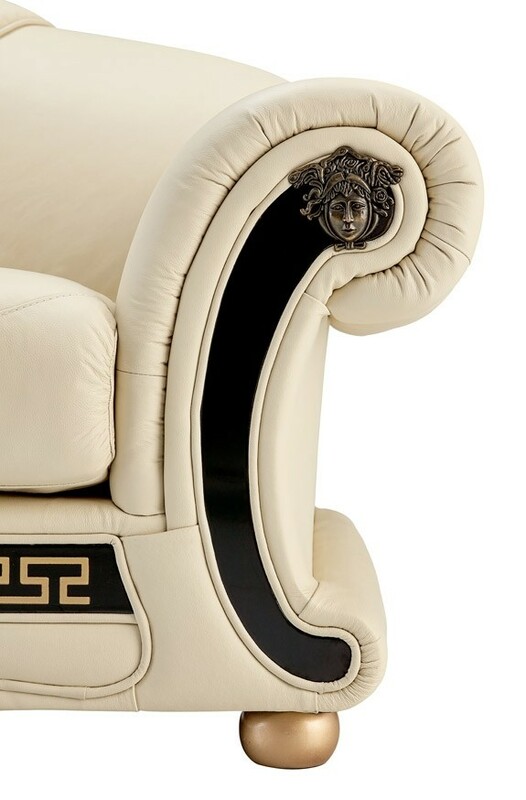 Rolled arms on all the pieces accented with gold that continues on the bottom. 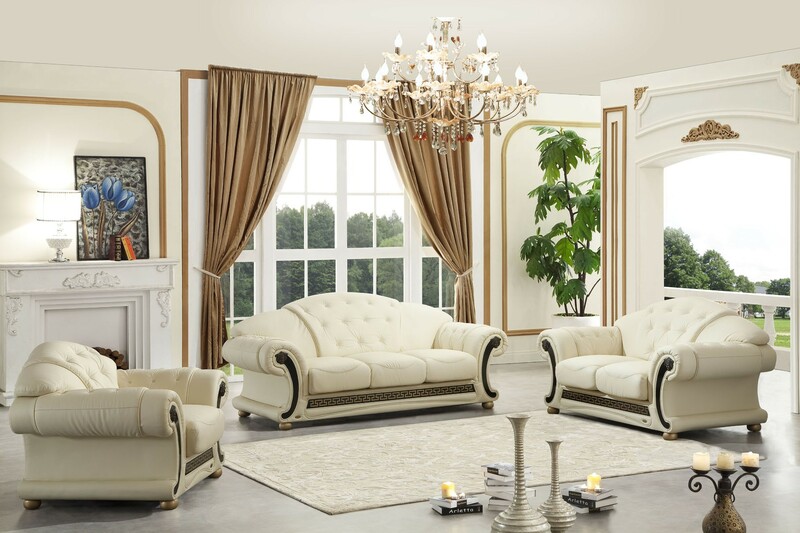 Ivory Italian leather matches perfectly with black trim and round gold feet with no-mar pads. 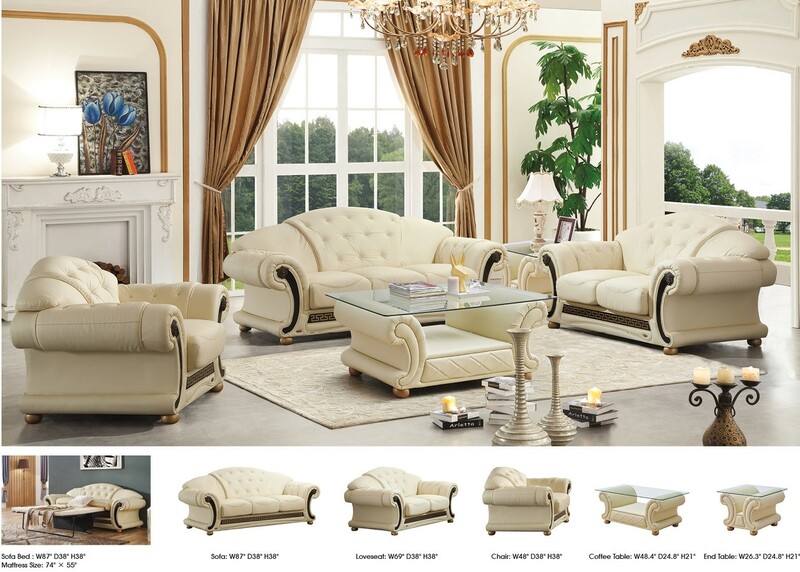 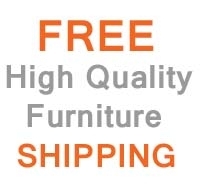 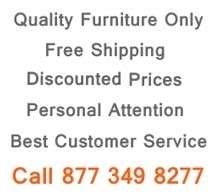 High quality construction, luxurious comfortable seating and rich classic design are the main features of this collection.